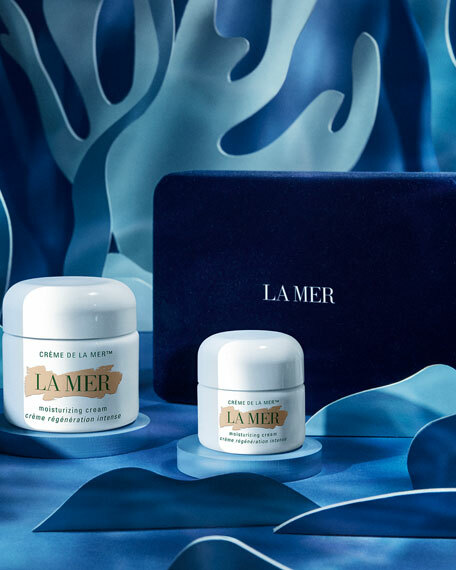 Deeply hydrate skin with this duet of the Moisturizing Soft Cream in a keepsake box. This collection features two sizes perfect for at home and on-the-go. The ultra-soft cream replenishes for a beautifully natural radiance. 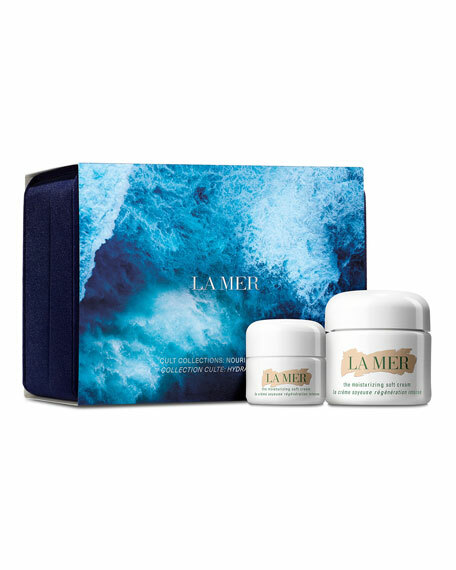 Skin looks naturally vibrant, restored to its healthiest center. Ideal for combination/drier skin. Featuring removable inserts, the luxury velvet box is perfect to reuse or display. Pat a small amount between fingertips to release the Miracle Broth and press gently into cleansed skin, morning and night. For in-store inquiries, use sku #2721810.